Eights and Weights: Should You Go Gluten-Free? Gluten is basically a particular protein that is hard to digest. It is most commonly found in wheat, barley, and rye. 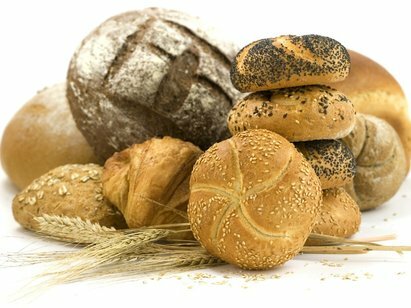 A lot of individuals have a gluten-sensitivity (either from a disease or not), which means their bodies react badly when gluten is ingested. Unfortunately, during our times, people seem to be developing even more of a sensitivity to gluten. Doctors say it is because the amount of gluten in the food we eat may be increasing as well. This is the origin of the gluten-free diet - the hypersensitivity to gluten. So it's not a group of people trying to come up with the latest diet trend; it is doctors who came up with a way to save patients. Now, this doesn't mean it did not develop into a trend. However, it could be an okay trend if there are tremendous health benefits. But so far, besides saving those who are gluten-sensitive, the health benefits seem to be that it helps people stay away from certain kinds of foods that contain more calories, like bread. But it does also cut out some good food like rolled oats because they could have been produced in the same factory. What is my opinion? If you think you may have a gluten sensitivity, I am all for it. If not, removing gluten alone from your diet does not make you lose weight or get automatically healthier. I would suggest cutting out processed foods or foods that you know contain little to no nutritional value. However, if you want to try it, it is worth a shot. As my friend said, "Coming off of gluten is kind of like your body going through a withdrawal. You don't realize how addicted to it you are until you decide not to ingest it. Anything that addictive cannot be good for you." Well, there you go. Would you consider giving up gluten? June Jumping Jack Challenge is on! Have You Heard of FiBit?